If my To Read pile weren't scattered over several surfaces in several rooms, it would be taller than me. I can't keep up with all the must-read titles, so I'm always a few--many?--volumes behind. I try hard to avoid spoiler alert conversations about the books I plan to read, especially when those stories are being turned into movies. 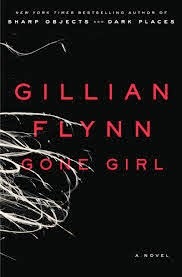 Toward the end of my reading of Gone Girl, as the plot twists were coming to light, I'd cover my ears, close my eyes, and shout ya-ya-ya when trailers came on TV. My family loved that, by the way. The biggest downside to waiting to read the book too close to the movie: I can't stop myself from picturing the actor's face while reading. 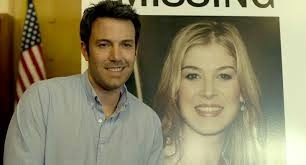 I saw Ben Affleck's strong jaw all through Gone Girl. I kept wondering, is he that well-cast for the role of Nick Dunne, or have I been brainwashed after seeing those short teaser trailers months before at the movie theater? 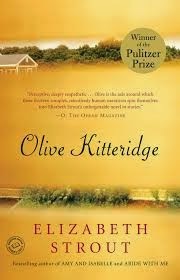 Now I'm reading Olive Kitteridge before the HBO miniseries starts next week. Not only do I see Frances McDormand's face as Olive, I'm hearing her voice as I read. 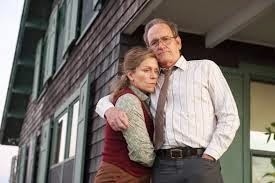 I adore McDormand's acting, but this is driving a little crazy! I much prefer creating my own visualization of characters. No human will ever match The Thorn Birds' Father Ralph of my young teenage mind! Sigh. It's much more fun to be righteously indignant about casting--he's not my !!! !--than to be constantly reminding yourself, it's Nick not Ben-freaking-Affleck! Finally! I get to be a librarian! For many years now, I've often wished that I'd become a librarian. One of my college work-study jobs was shelving books in the beautiful Penrose Library on Whitman College's campus, and I loved the quiet hours and discovering so many books about so many different things. Okay, so, I have to admit that I harbor the misconception that librarians get to hang out at the checkout desk reading all day. Ssh! The one job where you don't get in trouble for reading! I know that's not how the job actually works, but wouldn't that be the best thing ever? I've finally found a way to be a sort-of librarian: I put a Little Free Library in my yard! The design was inspired by the red schoolhouse in Vermont where I learned to love reading. Now, I have so much fun watching neighborhood kids sprawled on my lawn paging through books. The other day I caught some YA-types carrying off armfuls of novels. I only wish more grownups would come… I feel sad that most adults read phones instead of books, but I'm still hopefully stocking my library with hot titles. Gone Girl, anyone? Please welcome guest blogger Holly Schindler today! What is your best advice for fellow writers? For writers just starting out, I’d suggest you write every day. I know not all professional writers do. Some actually feel stymied by the pressure of putting something down on paper every single day, or meeting specific word count goals. But when you’re starting out, you don’t really know for sure what works for you. And because you’re also still trying to figure out who you are as a writer, the more time you get with your computer (or spiral notebook, etc. ), the better off you are. Writing is like playing a sport or an instrument—the more you do it, the better you get at it. It takes practice. For those who have gotten their toe in the door of the industry, my advice is the same I’m trying to heed myself right now: stay true to yourself. It’s pretty easy to do when you haven’t sold anything and it’s just you and your pages. But then you sell some work, and you get all these industry pros telling you who you are (and aren’t)…It gets hard to weed out the productive voices from those who are leading you down a path you shouldn’t necessarily take. Remember who you are. Stick to it. Don’t let anyone else convince you otherwise. Over the last few years, I’ve also noticed these sort of panicky rumors floating online among would-be published authors. Most of them are reasons why your work isn’t getting accepted: you’re adding two spaces at the end of your periods instead of one; you’re saving your work as a .docx file instead of .doc file. It’s just silly. If an agent or editor has trouble opening a file, they’ll ask you to resend. They don’t immediately reject it while laughing maniacally. Be you. 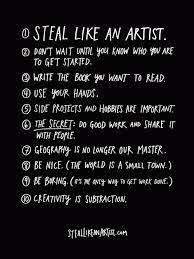 Write good stuff. YOUR stuff. Your work will find the appropriate home. I really love to work outside—either with my laptop on my back deck, or under a tree with my Alphasmart and my dog. But I live in Missouri, so this is really a weather-permitting kind of thing. Through the hot and cold seasons, I spend quite a bit of time in my office. But staring at the same four walls can get really tiresome, so I also wind up moving throughout the house for a change of scenery. Sometimes I find I can write to the TV, but often, it’s just too distracting. Most times, my dog Jake and I are working in some corner without any outside noise to bug us. What’s the best book you’ve read lately on the craft of writing? WIRED FOR STORY by Lisa Cron. 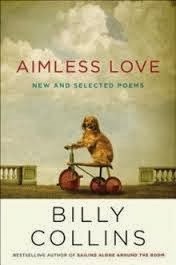 Loved it so much I wrote a thank-you letter to the author. What’s the best book you’ve read for fun? FERAL falls squarely into the realm of the classic psychological thriller. While the book features mystery, horror, and paranormal elements, the emphasis is on the “psychological” rather than thriller / action. The novel features a Hitchcockian pace and focus on character development (here, we’re exploring the inner workings of the main character, Claire Cain). Essentially, every aspect of FERAL is used to explore Claire’s inner workings—that even includes the wintry Ozarks setting. The water metaphor is employed frequently in psychological thrillers to represent the subconscious, and in this instance is incorporated in the form of a brutal ice storm (that represents Claire’s “frozen” inner state). The attempt to untangle what is real from what is unreal (another frequently-used aspect of the psychological thriller) also begins to highlight the extent to which Claire was hurt in that Chicago alley. Even the explanation of the odd occurrences in the town of Peculiar offers an exploration into and portrait of Claire’s psyche. Ultimately, FERAL is a book about recovering from violence—that’s not just a lengthy or hard process; it’s a terrifying process, too. The classic psychological thriller allowed me to explore that frightening process in detail. Please leave a comment to win a copy of Feral by Holly Schindler! Anywhere in the world!!! I'm back at my desk after a summer off. I loved spending lazy summer days with my brother's family visiting from Japan and soaking up every moment of my oldest daughter's last summer before college. I even went on a few field trips--like a day at the zoo--with my friend and her teenagers. A couple of hours after watching this video, I met a friend for lunch. She arrived ten minutes late, but I resisted the urge to pull my phone out of my purse. The folks waiting with me sat hunched staring at phones, which made them a little boring as far as people-watching goes, but I still enjoyed "looking up." I certainly get more ideas for stories when I'm engaged with the real world! I'll be back with my own blog posts in September! Please welcome Not A Doctor Logan's Divorce Book to the shelves! Writing this book came easy. I guess I'd been waiting all of my childhood to write this story. A few months later, the manuscript won first prize in the Utah Arts Council Original Writing Competition. But finding a home for an issue-driven book proved a lot more difficult. It's not the next Big Thing, but now this book can find the readers who need it, thanks to Character Publishing. Until 107 days ago, eleven year old Logan had never heard of Dr. Donna's Divorce Book. Now Mom has Dr. Donna quotes stuck all over the house. It's up to Logan to put an end to all this nonsense and reunite her parents. In the meantime, she's writing her own self-help book called, "Not-A-Dr.-Logan's Divorce Book." As time passes, Logan's attempts to make her parents fall back in love become more and more desperate. When acting out in school, calling a prayer hotline, and doing magic in the desert don't force her parents back together, Logan begins to accept that her family may never be the same. Learning to dive on a team and making a new best friend help her to cope with her parent's divorce, but will she ever truly be happy again? 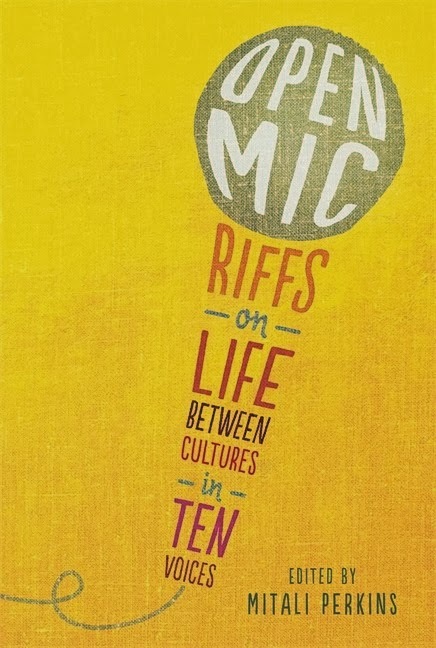 Leave a comment to win one of five copies--open to anyone in the world! Camp NaNo Week #4: Failure? I didn't get to print out a Camp NaNoWriMo winner's certificate this month. Of the half-a-dozen times I've committed to fast-drafting this is the first time I've failed. But I'm not too upset. I have 3,000 words of a short story that wouldn't have existed if I hadn't attempted to write 10,000 words during this crazy-busy flying all around the place April. I'm excited to finish the story and write the next one and next one now. Life is going to slow down quite a bit soon. Lazy summer days are ahead for me! Camp NaNo Week #3: I have words! Finally--I have managed to get a nice start on my short story. YAY!!! I am far from of my 10,000-word goal, but I will have a solid first draft of one short story (kind of hoped to have three stories started…). It's still possible to stretch 2,000 words to 10,000 (I do that all the time during November fast-drafting). But I'm not going to beat myself up if that doesn't happen this month. The key to writing this month: escape. I wrote nearly all of those words during a writing date with a friend at the cool library with a cafe. So, if you're ever feeling stuck invite a fellow writer on a writing date. Someone else's tapping fingers can be quite motivating! Stunt fingers: mine need, um, attention, but I should probably vacuum first! Update your word count. You created your project and you may already be writing. If so, up those digits to share your progress! If you haven't gotten around to starting yet, that's totally okay. There's still a lot of month left: adjust your word-count goal or bravely promise to catch up. As long as you write something (even if it's only on the last day), you're making it happen. Say hello in your cabin. Your fellow Campers are looking for you. Seriously. From many years of doing this kind of thing, we know that creative quests work best when you have a support group. Your cabin crew is a built-in accountability system, and they're friendly to boot. If your current group isn't working, you can always opt out and handpick some folks via theFinding Cabin Mates forum. Okay, check-in over. We'll let you get back to that wonderful project of yours. Thanks for writing it during Camp NaNoWriMo, and here's to a great rest of the month. I've never been so NaNo negligent before! I feel terrible about ignoring my cabin-mates! I really thought I'd be productive during my daughter's college visit last weekend, but writing squished into the middle seat on the plane wasn't going to happen. And I didn't write in cute cafes, I only ate too many delicious doughnuts (oh, Frosty's!) and muffins… And my evening alone turned into me lounging in an exhausted stupor eating gelato in my hotel room watching a Chrisley Knows Best marathon on TV. Week #3 is looking good, though. I even have a writing date planned! I don't have any words recorded yet. I haven't even opened a new document for my story. And I'd probably be freaking out about this lack of words on the page, if I hadn't picked up a copy of Austin Kleon's Steal Like An Artist at a museum gift shop over spring break. So nice to read little nuggets of wisdom after long days of sightseeing. 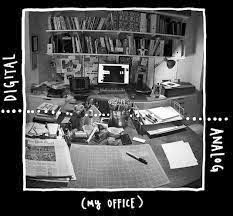 What Kleon says about separating digital and analog work made so much sense to me--and explained why all of my work starts with a spiral notebook, scissors, colored pens, and glue. I used to think that I was procrastinating the actual writing, but now I know that I need to use my hands first to get into the story. So that's what I've been doing this week, playing around, figuring things out, taking messy notes, drawing stuff, making plans. The word count will come next! 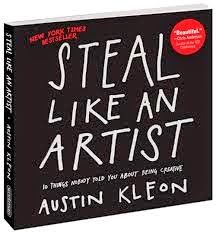 If you're looking for a bit of inspiration, I highly recommend Steal Like An Artist. 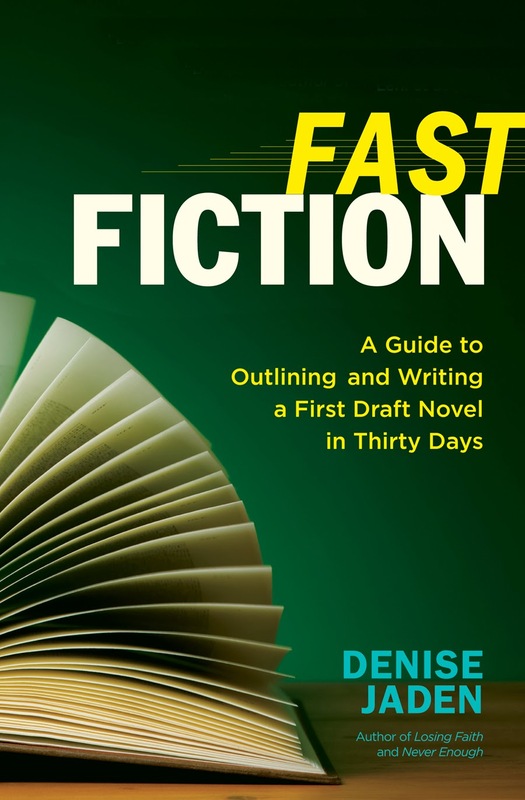 Denise's Fast Fiction Tip: Write because you love it! If I had to pick one tip above all others, I’d say do this because you love it. Sometimes we need reminders of that. I have a few writer-friends who remind me often. I also keep a folder of favorite writing bits that I’ve composed over the years to look back at when I need to be rejuvenated. 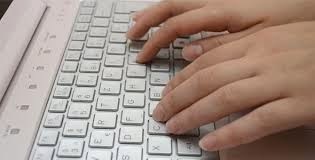 The thing is, not only will your passion for what you’re doing translate to readers when your book eventually has readers, love and passion will also make the writing process much easier. When I talk about fast-drafting in my book Fast Fiction, I highly encourage writers to write about something they care about. Caring about your story and loving the process will make your writing zoom by faster than anything else. Compliments of Denise Jaden, TWO BOXES of great fiction (US Only). Details on Denise's blog. Audiobook copies of NEVER ENOUGH by Denise Jaden! A critique of your first five pages, compliments of Denise's agent, Michelle Humphrey from The Martha Kaplan Agency! All you have to do is enter the rafflecopter for a chance to win (at the bottom of this post, I've included links to all of the other blogs where you can comment for more chances to win). “Being a ‘pantser’ I have always resisted outlining, but I have to say that Fast Fiction changed my mind! Denise Jaden takes what I find to be a scary process (outlining) and makes it into an easy and, dare I say, enjoyable one. Fast Fiction is a hands-on book that asks the right questions to get your mind and your story flowing. I know I’ll be using Fast Fiction over and over again. 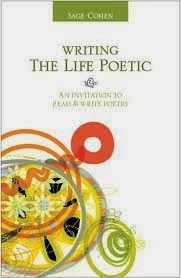 Highly recommended for fiction writers! Can't get a copy of FAST FICTION right now? I wonder if you'd consider helping out in other ways. I'd really appreciate any way that you can help! Leave a review on Amazon (the more books are reviewed on Amazon, the more they will show up as suggestions for readers). Comment on any of the following blog posts celebrating Fast Fiction's release to be entered to win prizes galore! Remember, all you have to do is leave comments to get lots of extra entries to win some great prizes. Don't know what to comment about? Tell us the name of your favorite writing book! When my daughter gave me a book-a-day calendar, I thought it would be fun to read nice quotes every morning, a nice change of pace from last year's doodle calendar on which I drew far too many octopuses. The calendar isn't filled with quotes, it's filled with well-written little blurbs. And they're making me buy books. Lots and lots of books. It got me again, today. Heck, yeah. I want to know about China's Taiping civil war. I want to go to China someday! I love learning! I love reading about everything! Books, books, books, more books! I told my daughter that she better get me another bookcase next year. Or maybe I should just start drawing octopuses over the enticing book blurbs? Cover Reveal! Holly Shindler's FERAL. Holly does such a great job corralling all of us over at YA Outside The Lines, so I'm thrilled to help her reveal the cover for her newest title, Feral. Beautiful, isn't it? Today I'm over at YA Outside The Lines blogging about my first character love. I gave serious consideration to moody-on-the-moors Heathcliff, but ultimately settled on Pippi Longstocking, an earlier, longer lasting love. You can read the post here. It's here, it's here! I've been waiting for Kristina Springer's My Fake Boyfriend Is Better Than Yours for a long time. I'm sure you'd like it too. Leave a comment & you might win a copy! Don't get discouraged and don't quit. If you're persistent and always believe in yourself you'll eventually get there. What's the best book you've read lately on the craft of writing? I just started Save the Cat by Blake Snyder. It’s been recommended to me so many times as THE best book for plotting so I had to get it. Find out more about Kristina Springer at www.kristinaspringer.com Adorable website, by the way. 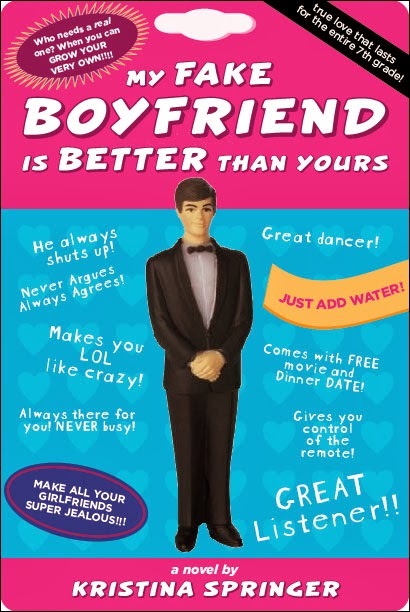 To win a copy of My Fake Boyfriend Is Better Than Yours leave a comment! I like to celebrate the various phases of the I've-got-an-idea to the completion of an actual book process. When I finish a first draft, I usually send myself a box of my favorite truffles (Legacy Chocolates), or in the case of my mummy manuscript, a box of pyramid & pharoah-shaped chocolates (thank you, Martine's!). I celebrate small milestones because it can take a long, long time before a manuscript transforms into a real book. A still-frozen Pepperidge Farm coconut cake is how I celebrated my completed first draft of Not-A-Dr. Logan's Divorce Book many years ago. I ate another one when it won first place in the Utah Art's Council Original Writing contest. The cake features in the story as part of the "Signs Your Mom Has Had A Bad Day" section of Logan's own book. And it's an inside joke with my mother--I only recently realized that most people wait to eat these things after they've defrosted. Let's just say I borrowed that bit of fiction from real life. I'm pleased to announce that I have eaten my third Pepperidge Farm cake! Not A Dr. Logan's Divorce Book will be published by Character Publishing on May 1st. YAY!!! Confession: I don't think I can force myself to chow down on another partially-frozen Pepperidge Farm cake. I might make my own much more delicious and moist coconut cake on May 1st! 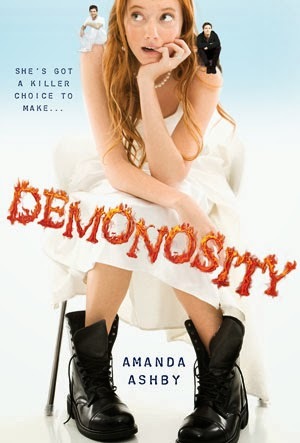 Congratulations to Kelley, winner of Open Mic and Demonosity. And congratulations to Anonymous (please contact me with your true identity!) 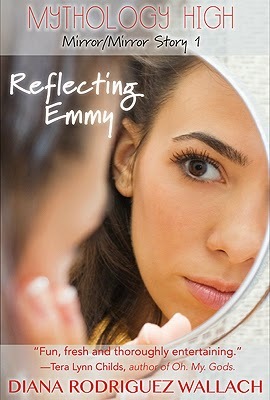 who won a copy of Reflecting Emmy! My apologies. I've been a particularly bad blogger these days. 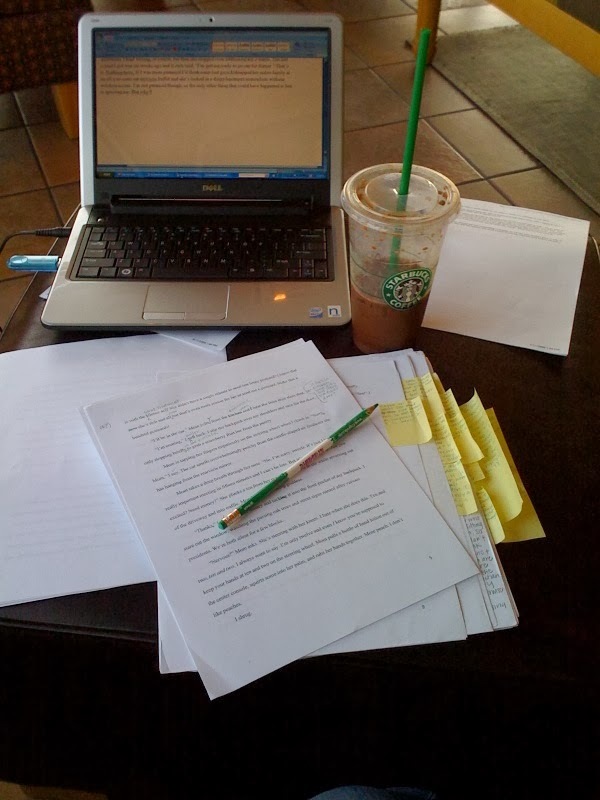 November passed with the writerly joy of revising my WIP. But in December, we started revising our house. I always expect my housework to fall behind when I'm busy with a big writing task. Later, laundry! But I didn't realize how much my writing life would be affected by remodeling. I knew there would be days of moving things in and out and back again--and I saved money by doing all the painting. But it's the waiting. Waiting for the guys to arrive to work. I like writerly waiting better because the cure for that is more writing! But I can't count the number of days I never got into the shower because I was waiting for folks whose definition of "morning" is 3PM. Or not at all. If only contractors would honor deadlines like my writer friends… But I do have to say that the excuses I've heard for not showing up are pretty darn creative! Anyway, the house revision is almost all wrapped up, and I will have my writerly routine back again. YAY! Here's a joke I sent to my 8th grade daughter. It's a paint roller selfie. I'm always telling her that if I'd had to live in the selfie world of junior high no one would have ever seen my nose--for sure! A belated happy 2014 to you all!